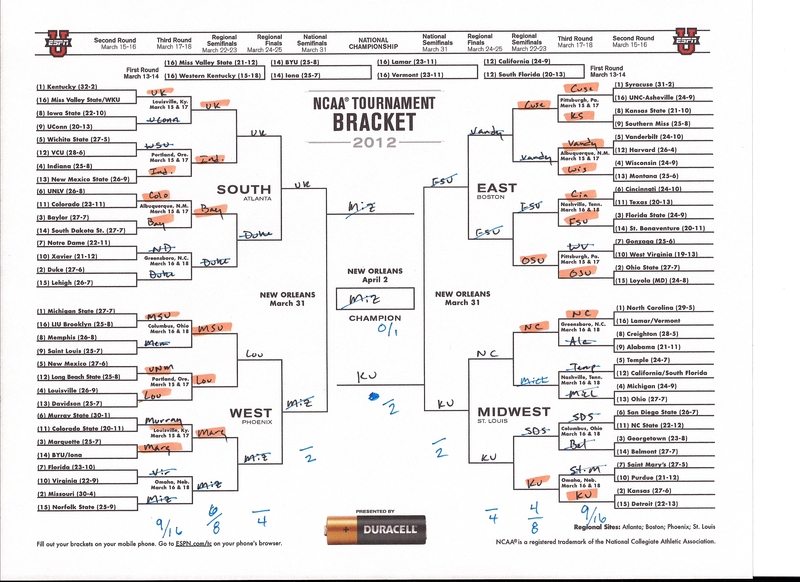 In a previous post, I laid out for you my predictions of the 2012 NCAA Men’s Basketball Tournament Bracket Challenge. My goal 40-50% correct. Through the first 3 rounds I am at 58.3% correct….but, with the quick exit of Missouri, Duke and Florida State the next few rounds aren’t looking so good. I had Mizzou going all the way and Florida State in the Final Four. All of this to say that I am keeping my day job and will not be accepting the position at ESPN to be their Senior Bracket Analyst.